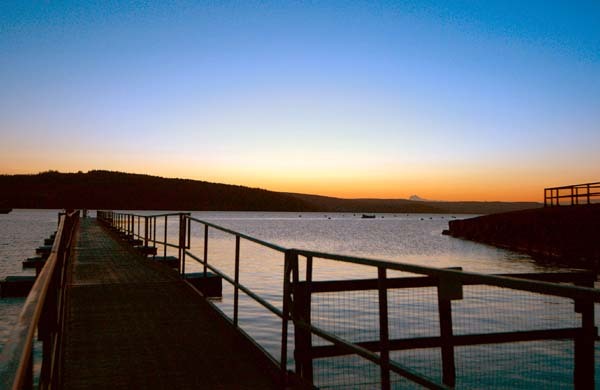 Named the most tranquil place in England (by the Campaign to Protect Rural England), Kielder Water & Forest Park is the perfect place to get away from the hustle and bustle of city life, and simply chill out. Why not start the start the day with a gentle stroll? Take it at your own pace – there are a multitude of routes for all abilities. The Lakeside Way is a multi-user trail that gives you a unique new experience. For the first time there is access to many of the most scenic parts of the lake shore, new views and the opportunity to interact with some of the abundant wildlife. There is a lovely stretch from Leaplish Waterside Park to the Mirage deck where an art installation called Mirage used to hang in the trees. Approximately 3.5 miles it will take an hour and a half each way. Following this, take a stroll to Kielder Castle for a warming lunch at the Duke’s Pantry. The former hunting lodge for the Duke of Northumberland is now host to a visitor centre, shop, art gallery and exhibitions. The Pheasant Inn at the entrance to the Park will provide a wonderful evening meal and great service. For accommodation, chose from the lodges at Leaplish Waterside Park (some complete with spa bath) or a whole host of B&Bs nearby. From Leaplish Waterside Park you can get the Osprey ferry for outstanding views around Kielder Water to Tower Knowe Visitor Centre and its interactive exhibition. Now is a great time to stop for a coffee or lunch at Café on the water. You might prefer to return to Leaplish Waterside Park and have a spot of lunch at the Boat Inn restaurant and bar. Why not spend the afternoon pottering around the wildlife garden at Leaplish which boasts a variety of different habitats and species. There is even a human sundial. Don’t forget to check out the flying demonstration at Kielder Water Birds of Prey Centre (check on the morning what time the demonstration will be that day). Round off your relaxing trip with a swim in the indoor heated pool at Leaplish Waterside Park and then rejuvenate in the sauna.